British rider Danny Kent has revealed he will ride a factory Husqvarna in the 2014 Moto3 world championship. 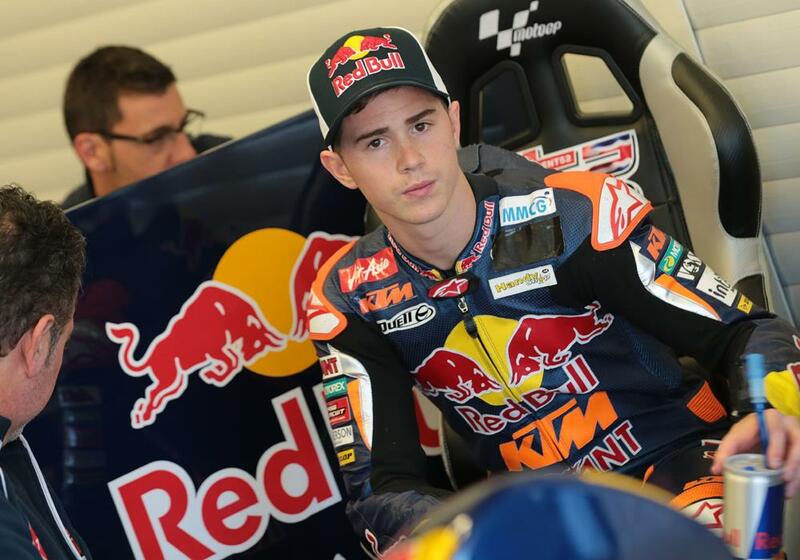 Kent will be back in Moto3 next season and initially signed a deal to ride for the Red Bull KTM Ajo squad to partner Jack Miller and Czech rookie Karel Hanika. But it was confirmed this morning he will ride in a new Red Bull Husqvarna Factory Racing squad, which will also be run by successful team boss Aki Ajo. Although it will be Husqvarna in name, the bike Kent will ride will effectively be a re-branded KTM, much like when Marco Simoncelli rode a Gilera to the 2008 250GP world title when it was actually a factory Aprilia. Husqvarna is now owned by KTM after an acquisition earlier this year. Kent will be joined in the new squad by Niklas Ajo and in a statement, Pit Beirer, head of Husqvarna Motorsport: “After our strong commitment to off-road competition, entering the Moto3 World Championship is a new milestone in the history of Husqvarna. "With the full support of Mr. Pierer and the Husqvarna Motorcycles Board of Directors, we are extremely excited about this new project. We will bring the best people and all the necessary energies together to give the project the success it deserves. Stefan Pierer, KTM AG CEO said: “Running Husqvarna in the Moto3 World Championship will bring considerable interest to both the category and the brand.